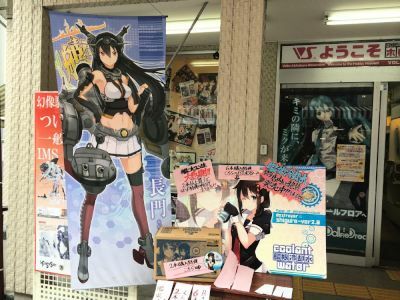 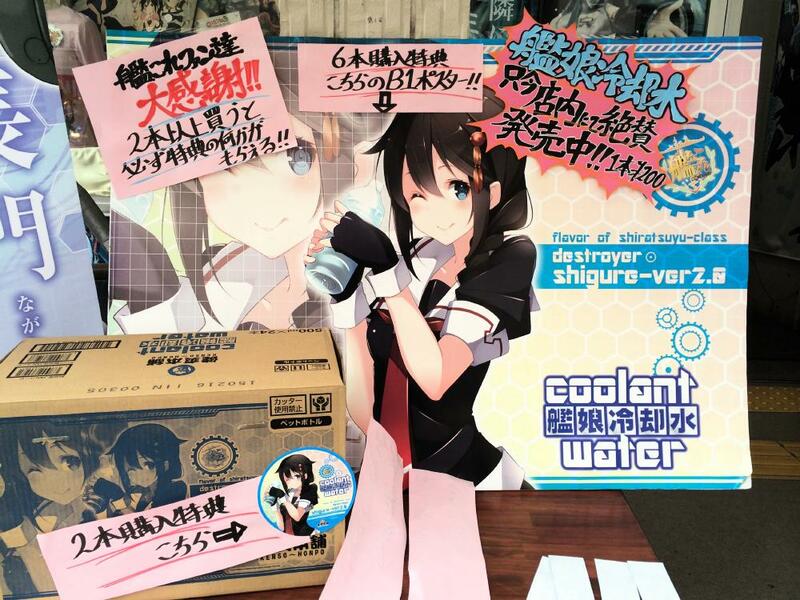 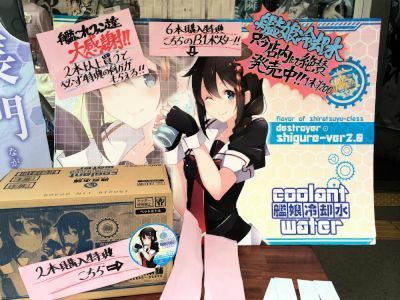 At the end of May, there was a display for the Kantai Collection pet bottle drink, called Coolant Water. 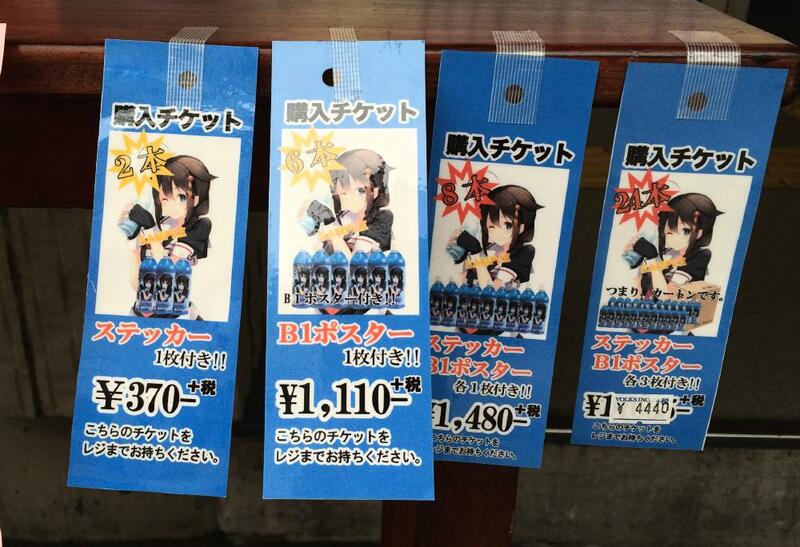 Those who buy 6 can get a B1 sized poster. Those who buy 2 can get a small sticker.